The Walking dead have been breaking all kinds of records on TV since the very first season premiered back in 2010. The 7th season is well on its way and, according to Norman Reedus, it will blow our minds. Rick Grimes, the leader of a bunch of survivors in a zombie apocalypse, is one of the most popular characters of the 21st century. 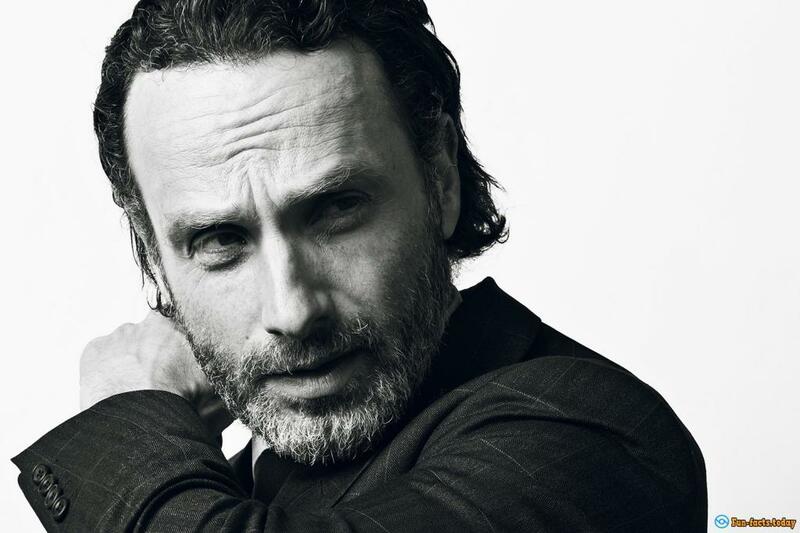 Today we'll check out awesome facts about Andrew Lincoln, the man who portrays Rick in AMC's smash hit from day one. He's been acting for a long time, but the "Walking Dead" brought him world-wide recognition, love, and last, but not least, big, fat checks to enjoy. He's a private person and doesn't really like to make a show out of his personal life. However, we do know some crazy facts about the man and are more than happy to share them with you right now! - Lincoln is not his real name. True, he was born Andrew, but his second name is Clutterbuck. Doesn't that sound a bit...British? Yes it does! Check this out: he was born in London, right in the heart of the UK, even though he does make that Southern accent sound pretty damn convincing. - Speaking of the accent, they say he spent 3 full weeks practicing his Southern dialect by ordering food in every single restaurant he could find. And, he has a coach, too. - Oh, and by the way, he's 42 years old (his birthday is September 14th, 1973) so, if you're a true fan, make sure to mark that day on the calendar. - He used to play rugby back in School, but stopped playing to focus on his acting career. - Andrew's mother used to work as a nurse, while his father is an engineer. His older brother, Richard, was the head of the Bristol Free School back in the day. Today he runs the Kings Oak Academy in Kingswood. - As for the man himself, Lincoln married Gael Anderson back in 2006 and together they're raising two kids, a boy and a girl. By the way, his wife is the daughter of Ian Anderson, leader of Jethro Tull. Crazy, right? - So, why change your name to Lincoln? The actor claims he changed it while he was at college because he thought Clutterbuck sounded like a funny fella from a Dickens book. Well, he might have a point there :). What do you think? 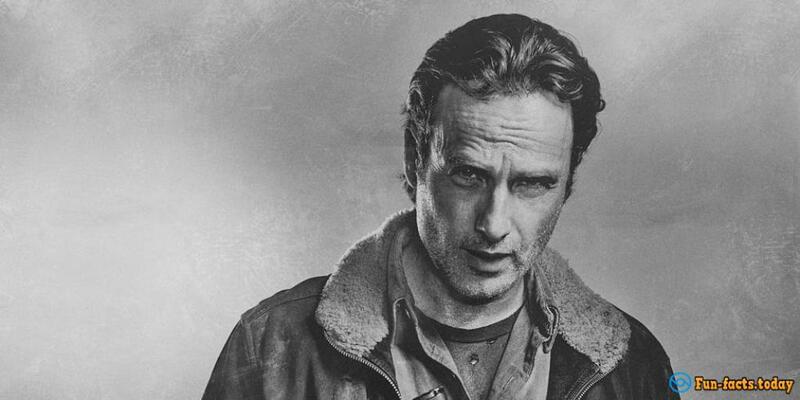 - Do you know when the future Rick Grimes made his way into television? In 1994, in a UK sitcom called Drop the Dead Donkey. As for his first big steps in America, he got a role in a movie called Love Actually back in 2003. - Back in the day you could hear Lincoln's voice in all kinds of radio/television ads, not to mention documentaries. 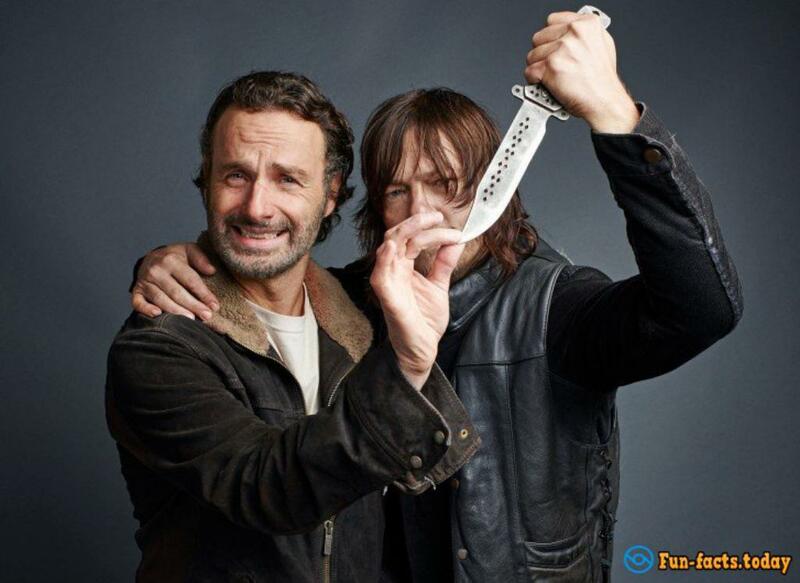 - One of the biggest awesome facts about Andrew Lincoln: he's known for his hospitality and likes to invite the actors from the show to his home for dinner. They say he's one hell of a cook, too! Steven Yeun (Glenn) confirms! Can you imagine Rick cooking? - The role of sheriff Grimes earned him two mighty awards - a TV Guide Award for Favorite Actor (thumbs up!) and a Favorite TV Anti-Hero (say what?) Award from People’s Choice. - Believe it or not, but Jon Bernthal, the man who used to play Shane, is one of Lincoln's best friends. You still remember Rick killing him in cold blood at the end of season 2, right? - Lincoln is 5′ 10″, has blue eyes, had a few sleepless nights after he took Hershal's leg with an axe (yep, that happened) and said once that he can't imagine how he would survive a zombie apocalypse without a nice cup of cappuccino.